Valentine’s day is approaching and romance is in the air. And even though we do believe that romance is something that should be in the air year round, valentine is a chance to celebrate it nonetheless. That is why we have made this list of the best romantic restaurants in Bahrain. We wanted to give Bahrain residents a complete guide on where to spend this love fest. It is noteworthy to mention that the food scene in Bahrain is very diverse, the small kingdom boasts a large number of restaurants of all kinds, however these are the most romantic among them. 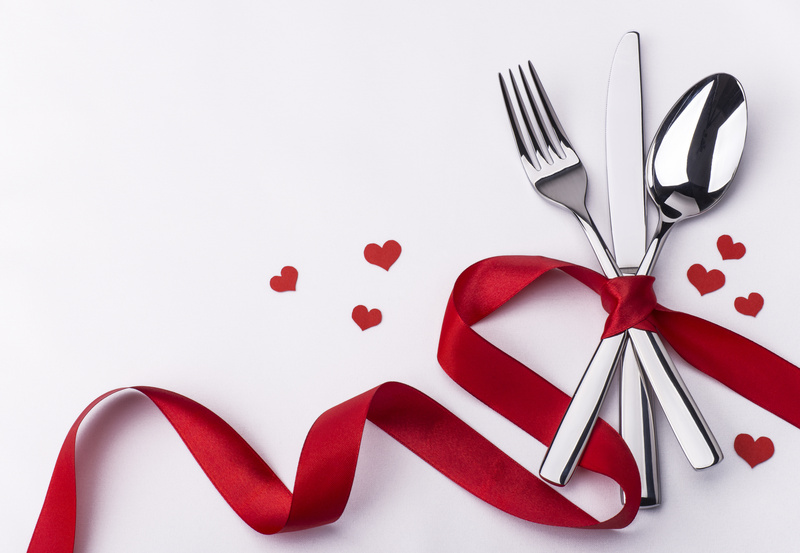 If you live in Bahrain, you might want to save this guide for special occasions, these are the most romantic restaurants in Bahrain. Dining is a form of art at La Fontaine, everything in this place is exquisite. From the moment you walk in, you will feel surrounded by beauty. Located at the old part of Manama, the restaurant lies in a renovated 150 year old building. Featuring one of the few remaining wind tower structures in Bahrain, a spacious inner courtyard, and airy passageways, this place mixes traditional Bahraini architecture with classic French design. Add to that the beautiful palm trees, the Candlelit dinner and the live music, and you get the perfect romantic evening. Moreover, La Fontaine serves fabulous European cuisine, amazing dinner in a romantic setting, what more can a person ask for! Situated in the Four Seasons Hotel Bahrain Bay, RE Asian Cuisine is a fine dining experience by Michelin-starred celebrity chef and restaurateur Wolfgang Puck. The restaurant provides spectacular view of Bahrain Bay and the magnificent Manama skyline as it is located in the 50th floor. Coupled with the delicious food, this superb view provides a very romantic dining experience. RE mixes contemporary and classic cooking styles. it serves new and old recipes from China, Japan, Thailand and Vietnam. Offering a true taste of Asia, this is definitely one of the best romantic restaurants in Bahrain. Located in the Palace Boutique Hotel, and led by the renowned Chef Susy Massetti, Masso is one of the most romantic restaurants in Bahrain. The restaurant serves a menu that depends on fresh produce and changes across the seasons. The unique menu mixes contemporary Southern European cuisine and Middle Eastern cuisine, and adds the Chef’s touch and twist to both. The interior design shows understated elegance, just as the simple menu does. The minimalist candlelit area may be just the perfect spot for your Valentine dinner this year. Situated in the Four Seasons Bahrain Bay, V-Lounge allows you to have scrumptious dinner while being served by a private butler and floating across Bahrain Bay on your very own detachable lounge boat. This may be one of the priciest options, but it is without a doubt one of the most romantic as well. Just make sure to book early if you want to go on Valentine’s day. Also, the food is beyond perfect, and you get to play the music you want, a perfect dinner indeed! With its large windows overlooking the magnificent view, Tapas Restaurant brings the azure waters inside. This place allows its patrons to enjoy delicious tapas on a picturesque terrace overlooking the sea or in the chic indoors, also overlooking the blue view. This trendy restaurant in Sofitel Bahrain, Zallaq is the perfect place if you are looking for a restaurant with a different vibe this Valentine, especially if you happen to catch the sunset view there. Located in Manama’s art hub, Adliya, Upstairs Downstairs is one of the most vibrant and the most romantic restaurants in Bahrain. The place is popular for its fantastic food, and also for hosting amazing events, live music and entertainment, especially on weekends and holidays. Since it was founded in 1977, the restaurant has won more than 25 awards. That is why a great dining experience is always guaranteed at Upstairs Downstairs. However, a table is not guaranteed, so it is better to reserve early. A simple yet beautiful place, a limited but toothsome menu and a wonderful rooftop, ZOE is one of the most romantic restaurants in Bahrain for good reason. Located in Adliya, this restaurant serves an eclectic menu. And the place is usually packed during weekends and holidays so you better reserve your table in advance.